My ghost story, “She’s No Shimmer,” which appeared several months ago in Fiction River: Haunted, is now available as a single title for just 99 cents. Shimmer, the legendary female impersonator, haunts the Key West cabaret she made famous and the pale imitators who try to fill her stilettos. They inevitably fail, until a new contender to her throne arrives and insists on a very different Barbara impersonation. Not Streisand, but Bush. Barbara Bleeping Bush! 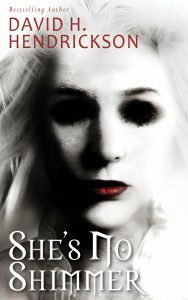 “She’s No Shimmer” first appeared in Fiction River: Haunted.